Just a few miles from Third and Valley is the 65th annual St. Patrick’s Day Parade in West Orange. The parade was first started by the Irish-American Society and the Frank O’Hara Association and was just a small parade until 1974 when they expanded it to the full width of Main Street. The parade attracts thousands of marchers including Irish-American groups in the area in addition to fraternal, community and school groups. The Parade continues to grow in size and respect as witnessed by larger turnouts of marchers and spectators and the attendance of U.S. Senators, Governors, Congressman, and other elected officials. This family-friendly parade will continue to be successful because of the refined way in which it allows Irish‐Americans to demonstrate their pride in their heritage and culture. The West Orange Parade has also been a social innovator in having the first Woman Grand Marshal and first woman Chairman of any Parade in the State! The parade will be held on March 13th, 2016 but if you’d like to celebrate before that you can purchase tickets to the O’Hara/Shillelagh Party on Friday, March 4th at the Shillelagh Club from 7pm-10pm. Tickets include open bar, drinks and entertainment! 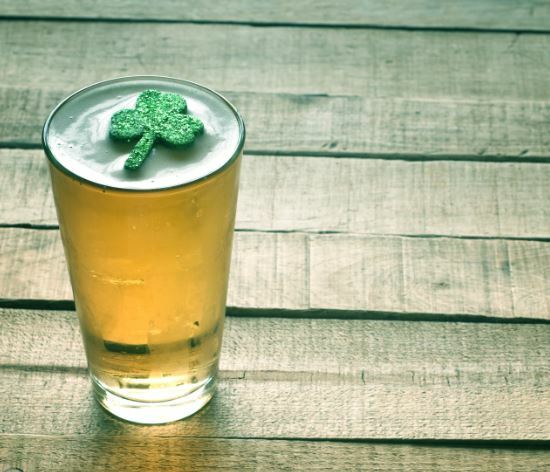 If you’d rather stay away from the crowds, there are some other great Irish pubs you can check out near Third & Valley such as Ricalton’s Village Tavern (South Orange), St. James Publick House (Maplewood), O’Reilly’s Irish Pub (Maplewood) and Thom’s Saloon (West Orange).